The main task of the Italian Commission is to assist in the development of international trade by supporting entrepreneurs in finding reliable partners in foreign countries. 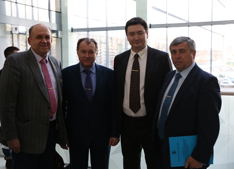 On March 13, the Interregional Business Conference of the Chambers of Commerce and Industry of the Moscow region was successfully held in the new building of the Public Business Center of the Administration of New Moscow special district in the place of Kommunarka. 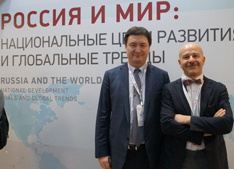 The Italian Commission of the Moscow Chamber of Commerce and Industry acted as a partner of the educational session of the Gaidar Forum, which was successfully held in Moscow on January 15-17, 2019. at the Presidential Academy (RANEPA). Reliable partners and a profitable contract with them are conditions for the successful business. Understanding of the market and target audience of business facilitates the effective promotion of the company. Qualified legal support effectively helps, when company needs to defend its rights and interests,and helps to correct the existing mistakes. Advising on investments is necessary for the potential investors with available cash and for the companies, that plan to develop their business. Comprehensive study and analysis of the situation is a necessary measure in the realization of business projects. Assessment of the economic condition of the company is required to achieve maximum business profits. 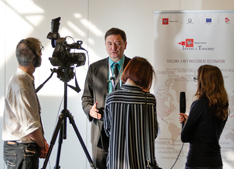 Successfully organized event creates your professional image and positive reputation.